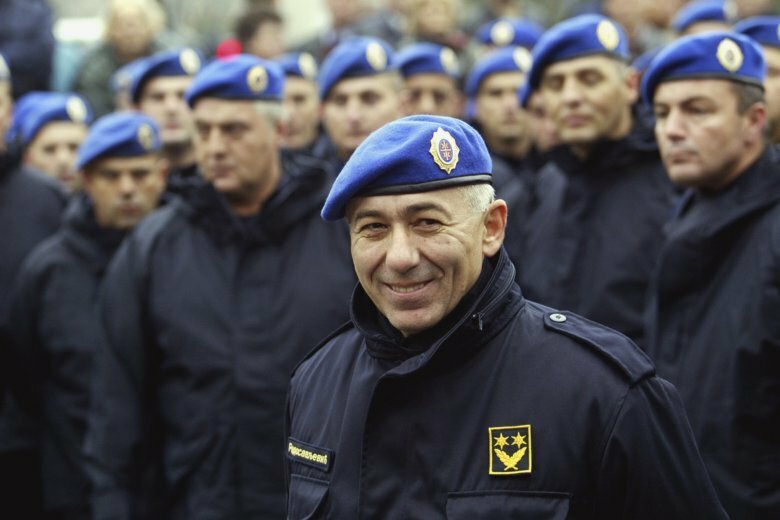 BELGRADE, Serbia (AP) — The U.S. has linked a former Serbian police commander to the 1999 murder of three Albanian-American brothers and banned him and his family from entering the United States. The U.S. State Department said in a statement that it is publicly designating Goran Radosavljevic for “gross violation of human rights” after he was “credibly implicated” in the killing of the Bytyqi brothers, Ylli, Mehmet and Agron. Police general Radosavljevic, known as Guri, was the commander of a special police base in eastern Serbia where the bodies of the brothers were discovered in a mass grave in 2001. He is now a close party associate of Serbian President Aleksandar Vucic. The brothers left their New York pizza business to fight with ethnic Albanian rebels against Serbia’s rule in Kosovo. They were arrested at the end of the clashes in 1999 when they strayed into central Serbia. The bodies of the brothers, with bullet holes in the back of their heads, were thrown into a pit that already held dozens of corpses of slain ethnic Albanian civilians — an effort by former Serbian authorities to cover up mass murders during the 1998-99 Kosovo war. Kosovo declared independence from Serbia in 2008. The failure by Serbia’s judiciary to bring the perpetrators to justice for so many years after the murders has strained relations between the U.S. and Serbia. Radosavljevic has denied involvement, saying in he was on a hunting trip when the Bytyqi brothers were killed. “I have nothing to do with the murder of the Bytyqi brothers,” Radoslavljevic told the pro-government Vecernje Novosti newspaper on Wednesday. Adviser to the Bytyqi family Praveen Madhiraju said in an emailed statement that Radosavljevic is being protected by the Serbian president, who has repeatedly promised to bring the killers to justice. “Today, the United States sent an initial signal that it will neither forget his promises nor stand for his double talk,” he said.